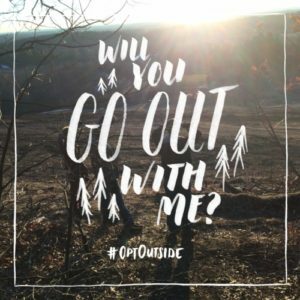 #optoutside November 25 With Hikes, Bikes and Education! This view is from the top of the Bates Land trail. Trail Bike Ride with Dave Burnham: This is a 12-15 mile ride through Gamlin Crystal Springs, Cronin-Massapoag, among others. It is an intermediate level ride. The ride will start from the end of Cow Pond Brook Rd., meet at 9:15, ride at 9:30. More info: Dave. 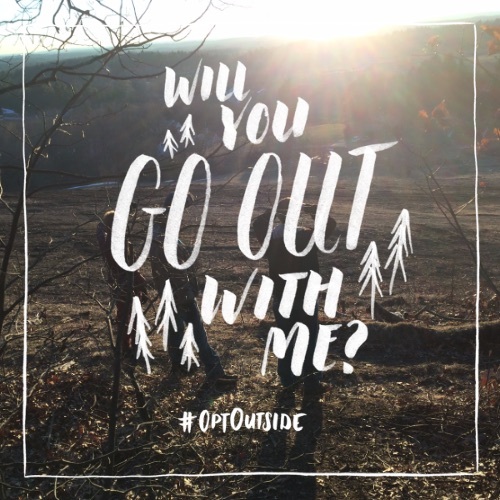 Lawrence Woods Stewardship Hike: Meet at the Nashua River entrance to Lawrence Woods at 9 AM, parking at Groton Place or along Long Hill Road / Route 225. Come spend an hour learning how GCT monitors its properties with Trustees Michelle Ruby and David Pitkin. We will go over finding boundary lines and corners with a GPS to monitor for encroachments, clean up the property review past monitoring reports and have a great time. Dress appropriately. Skinner Forest Hike: Led by Suzanna Black and Trustee Susan Hughes. This is an intermediate hike, 3 miles, with some steepish hills. The hike offers pond views, an esker trail and the wooded beauty that made the Lost Lake area a vacation retreat. Long pants are recommended, and walking poles as there are many leaves along the rocky path. Dogs on leashes are OK. This 1 PM hike will meet at the Duck Pond property lot on Lost Lake Road. Contact Susan Hughes for more information. Olin Lathrop and AMC: Come join the longest continually running hike in the AMC. This hike explores the natural areas between the Nashua River and the Snake Hills. Exact route determined on the fly. Some bushwhacking is possible. The hike is around 7 mi, 5 hours. Bring warm clothes and lunch. Meet at 10:00 AM in NW corner of parking lot behind Nashoba Valley Hospital on Groton Road in Ayer, 42.57878N 71.57399W. Contact Olin for more information. Questions? Contact us for more details!